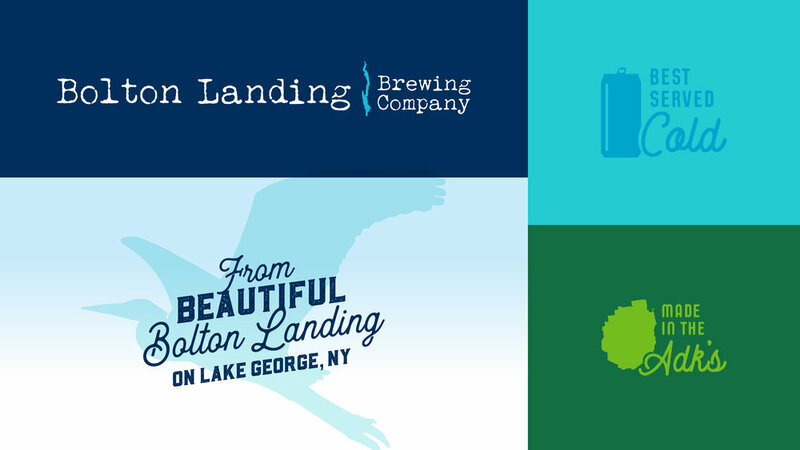 Bolton Landing Brewing Company has great beer, a beautiful space and sits on the shores of Lake George in Bolton Landing. It’s the perfect spot for locals and vacationers alike to relax, listen to some live music, play some games, and sip on some great brews. Owner Brendan Murnane had already nailed down a killer brand before we started working together, but asked us to help create artwork to extend the brand system for use on signage, merchandise, and other various applications. 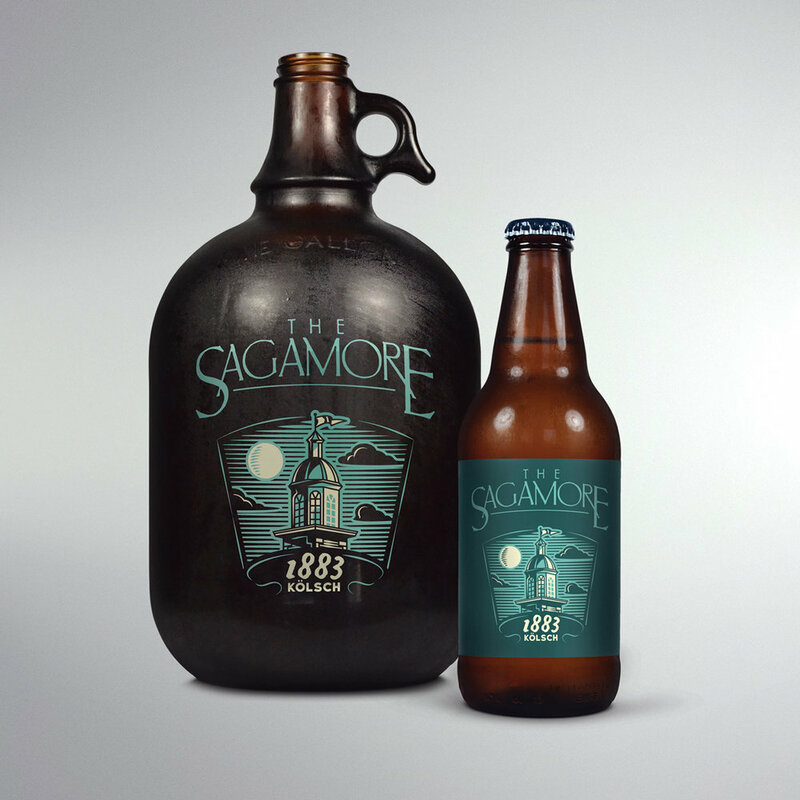 We wanted to make sure to create a tap label system that was designed for longevity, so that any new styles would be able to fit seamlessly with the existing beers. That involved choosing complimentary fonts and an expansive color palette. For the mainstays brews we stuck with a vintage map background but we thought bright colors and fun illustrations would help the seasonal beers really pop on the handles. Whether they are hosting a St. Patty’s Day party or want to call attention to the beautiful place they call home, BLBC loves to have their own merchandise — and we love creating it!